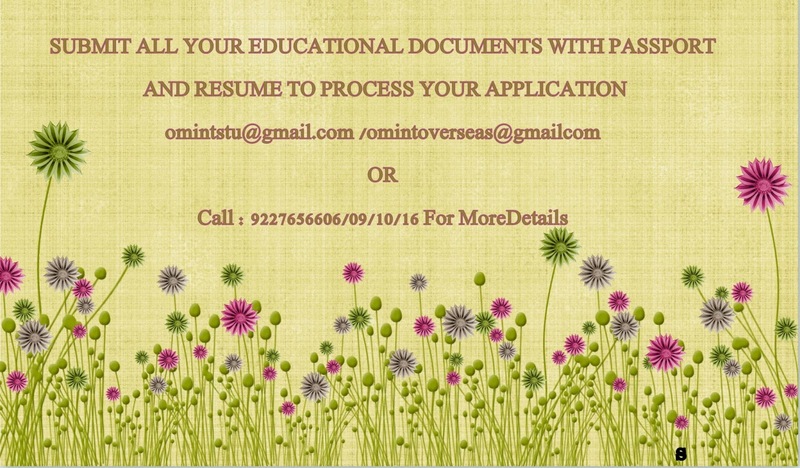 OM VISA Consultancy - Global Immigration, Students, Visitor, Business & Work VISA Consultants: Study Masters in Ireland and Get upto 2 years of Post-Study Visa, Hurry Up, Dont Miss This Good opportunity, Enroll With gujarat's leading Visa Consultancy "Om International"
Study Masters in Ireland and Get upto 2 years of Post-Study Visa, Hurry Up, Dont Miss This Good opportunity, Enroll With gujarat's leading Visa Consultancy "Om International"
Ireland is the only English Speaking country in the EU. Ireland gives Master’s degree holders 2 year of post-study work visa and Bachelor’s degree holders, 1 year of work visa. Nine of the top ten global ICT companies are Irish. Eight of the top ten global pharmaceutical companies have their operations in Ireland. 50% of the world’s leading financial services firms are located in Ireland . Five of the top 10 companies on Forbes’ list of The World’s Most Innovative Companies …have Irish operations. Low tuition fees and students can work for 20 hours part time. Employment rates after graduation are as high as 100% for many Universities. Feel free to contact us in case of any clarification. We would be glad to assist you further.